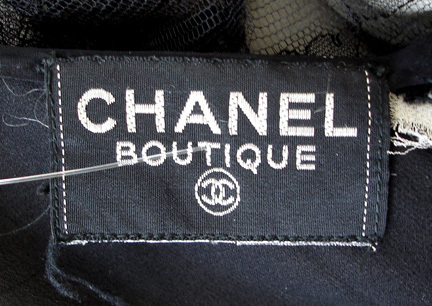 Vintage Chanel bias cut black chantilly lace and silk chiffon form fitting evening dress. 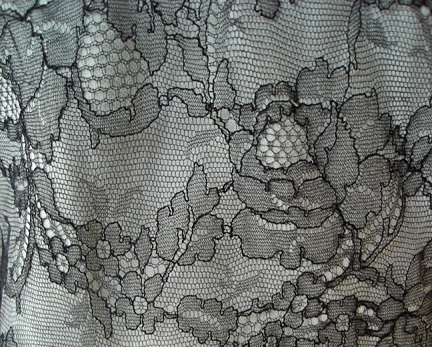 One of Lagerfeld's earlier creations reminiscent of earlier Coco Chanel designs of the 20's and 30's. 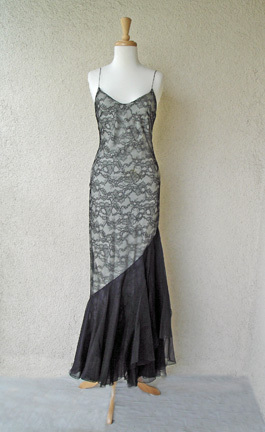 Long overlay of black chantilly lace with asymmetrical black silk chiffon hemline. Back zipper closure. 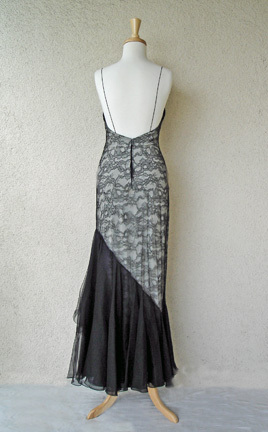 Bust: to 32": waist: 28"; hips: 34"; length: 60"